Hello! My name is Jennifer Hagler and I began writing AMM several years ago. 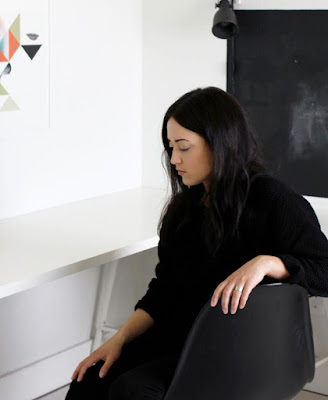 With a desire to create an inspiring place, to share ideas and inspiring design, AMM has evolved from a blog about my personal life to a full time design and lifestyle website. A passion for Scandinavian design and minimal aesthetics is what motivates me to explore new interior projects, as well as old examples of intriguing interior spaces from around the world, fashion selections and carefully curated imagery to inform and inspire you. You will also find images from I share from my home and personal projects as well as the occasional travel and family photos. I highly recommend you check through the archives for more home renovations and DIY's. In addition to writing weekly for AMM I also work as a freelance stylist for interiors, beauty products, kids brands and fashion. I am the mother to two children, my oldest son is Israel who is now 8 and my youngest daughter Elin is 3. I live with my husband and a crazy, grey cat named George in the Northwest US. Between my husband and I we have more than 10 years experience in art and design. If you would like to work together, have any inquires or submissions please contact me here. You can also follow me on Instagram for more behind the scenes photos and videos, on Facebook blog updates and insuring articles and on Pinterest for a catalog of imagery for interior, fashion, children, DIY and food ideas.